If there is one gift you want to choose perfectly, it is a gift for a mom. Moms are the absolute best, if we do say so ourselves! 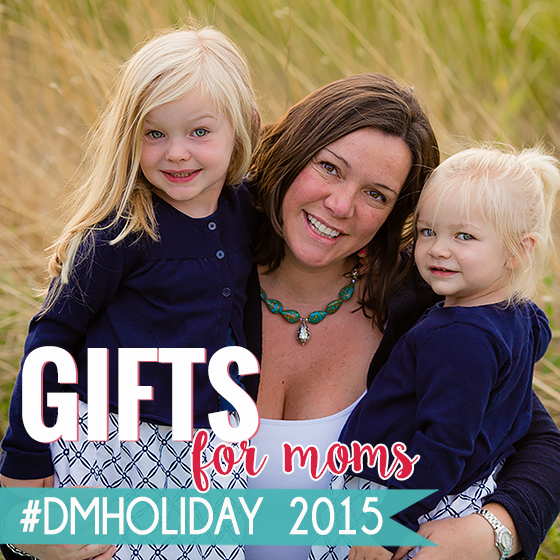 It might seem like it is difficult to shop for the mom in your life, but we don’t think it is. Moms love their kids, coffee, wine, and feeling and looking their best. 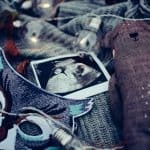 With that in mind, the gifts ideas presented here are custom tailored to the love’s of moms – so you can’t go wrong with any of these to make her day. 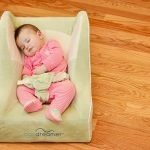 Babymel was founded by a mother named Suzi who lived in London with two little ones, and was on the hunt for a roomy and beautiful storage solution for all the necessities needed to leave the house with a baby in tow. Her children, Melanie and Melvin, drew an image of the first diaper bag that she designed, and they dubbed it “Babymel”. 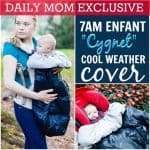 Since then, Babymel has grown to offer a variety of bag shapes and styles, and even a special bag created just for twin moms and daddy bags as well! 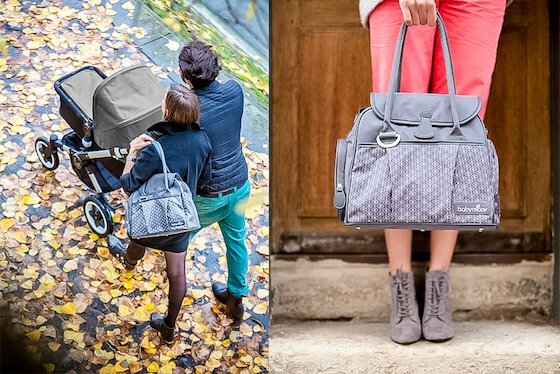 We are loving the fall/winter look of the Grace Diaper Bag in Grey, which offers a stunningly beautiful place to store every baby essential you will need for your next outing. The bag features integrated stroller straps and a built-in insulated bottle pocket. The Grace Diaper Bag comes with a padded changing mat, and the shoulder strap is detachable so it can be worn and carried several ways. 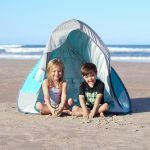 Convenient features like a waterproof outer shell and a wipe-clean lining inside will make cleanup easier than ever. The front pocket and 2 elastic pockets inside the bag will store everything from diapers to keys to cell phone, and the spacious inner part of the Grace Diaper Bag will hold all of the diapers, burp cloths and toys that you and baby will need for a day out. 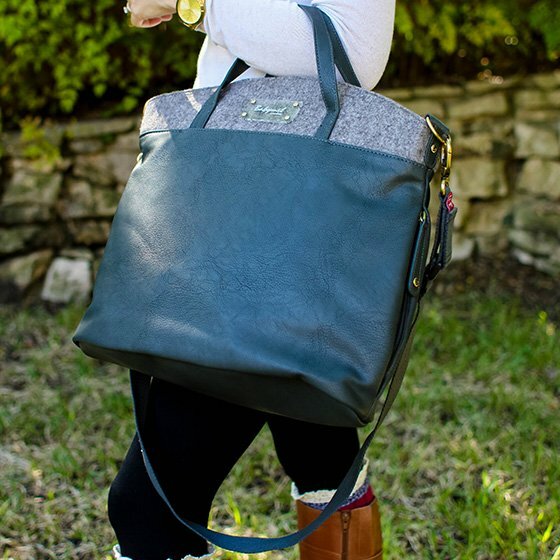 The Grace Diaper Bag makes a beautiful and useful gift for any mom on your shopping list! And because it looks like a beautiful tote bag, it can be used during the baby and toddler years and beyond. L’eclisse (the Italian word for “eclipse”) is suiting for this thoughtful cosmetic brand. Evoking “romantic moments of total beauty that transcends the ordinary”, L’eclisse cosmetics are made with “the finest cosmetic minerals and the highest-quality formulations”. L’eclisse products are made without the use of synthetic perfumes, dyes, oils or fillers, and are non-comedogenic with anti-inflammatory ingredients – making them perfect for sensitive skin types. The L’eclisse line is so skin-friendly, that it can be applied and used after almost every type of skin treatment to protect and promote healing. 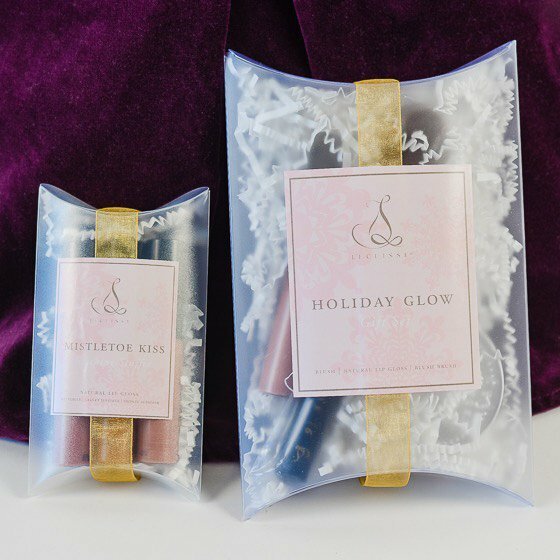 L’eclisse’s Mistletoe Kiss Stocking Stuffer kit includes three shimmering, natural lip glosses. They come in neutral shades that will compliment a variety of skin complexions this holiday season. Made with an all-natural blend of certified organic ingredients, these shimmery, velvety lip glosses will hydrate and moisturize dry lips, all while providing a hint of color. 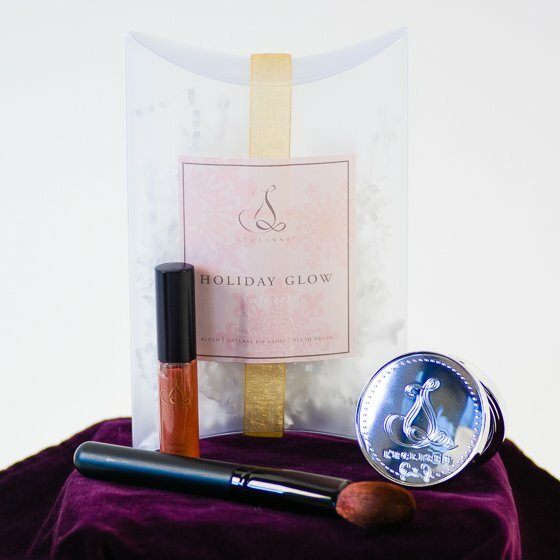 The Holiday Glow Gift Set includes a neutral pressed mineral blush for a natural warm glow. This mineral blush is made without any synthetic dyes, oils, talc or fragrances. This set also includes a vegan blush brush, made from 100% premium synthetic fibers, and a neutral, natural lip gloss, made with an all-natural blend of certified organic ingredients. L’eclisse holiday gift sets make the perfect gifts for the eco-concious, natural and organic-loving person in your life. Made with all-natural, organic ingredients and free from toxic dyes, fragrances and fillers, you will be happy knowing you are giving your loved ones a gift that will not harm their skin or health. The L’eclisse holiday gift sets are ideal for stocking stuffers, Secret Santa gifts, mothers, sisters, daughters – anyone who loves natural, healthy cosmetics. Tribest is a revolutionary company in the kitchen goods arena that’s been around since the late 1980s, creating renowned, top of the line products that help you eat healthier and increase your overall wellness. Their goal is to make healthy living truly easy, and that’s exactly what their products will help you do. 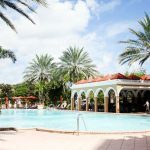 Tribest is an incredible, trustworthy company to buy from; they truly stand behind each and every product they sell and back their products with amazing customer service. If you know someone who has a home with dry air, the Humio humidifier & LED night lamp is the perfect gift for them this holiday season! This 3-in-one machineliterally does it all. It’s a cool-mist humidifier, producing a steady flow of cool-mist for up to 10 hours per 1/2 gallon of distilled water in the tank. 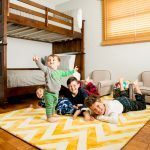 This humidifier covers up to a 100 foot area, making it perfect for most bedrooms and nurseries. It functions simultaneously or separately as low-energy using an LED night lamp, and transitioning between soothing levels of reds, greens and blue colors. It also comes with a built-in aroma oil diffuser, so you can diffuse your favorite essential oils while using both the cool-mist and night light functions. This is perfect for nights when you’re have difficulty with colds and stuffy noses! 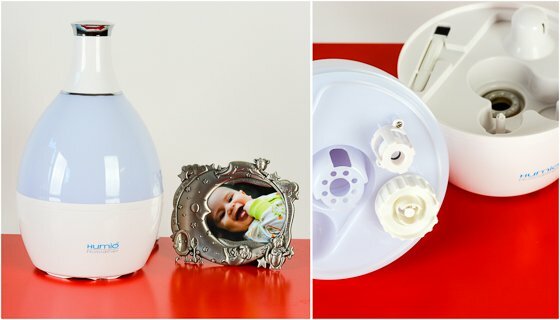 The Humio humidifier & LED night lamp is easy to use, disassemble, clean and maintain. It’s sleek, small, and modern in design. It will work in any room with any decor, making it the perfect gift for anyone on your list this year. 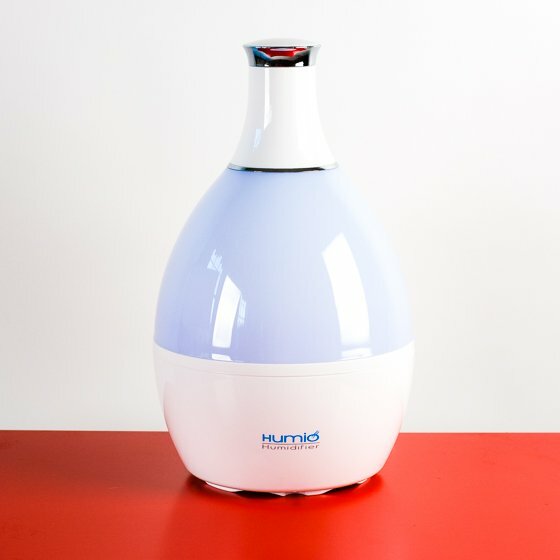 The Humio humidifier & LED night lamp is the perfect gift for new mothers, babies, young children – pretty much anyone who needs cool mist in their nightly routine, and loves having a soothing night light on as they sleep, or for someone who wants to diffuse essential oils in their home. This 3-in-one machine is as sleek and pretty as it is functional and practical for everyday use in any home. Le Creuset is a name known to many-a-kitchen for a long time! Well known for their top quality enamel cookware, they first released an enameled cast iron cocotte in 1925. Since then, their cookware has earned its reputation as a well-loved cookware line loved by chefs and home cooks alike around the world. As a company, they seek to empower and encourage people to cook. They’re famous for their vibrant colors, as well as their outstanding quality. 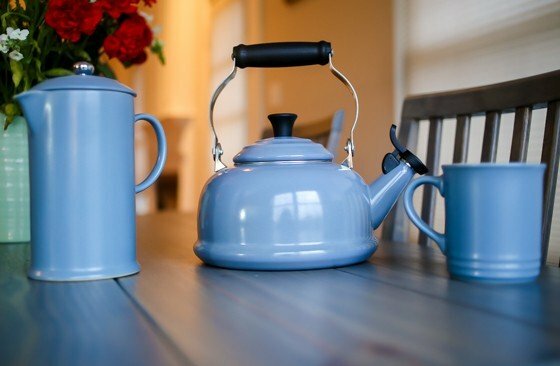 Le Creuset offers its customers the highest quality supplies for brewing the best cup of coffee or tea! 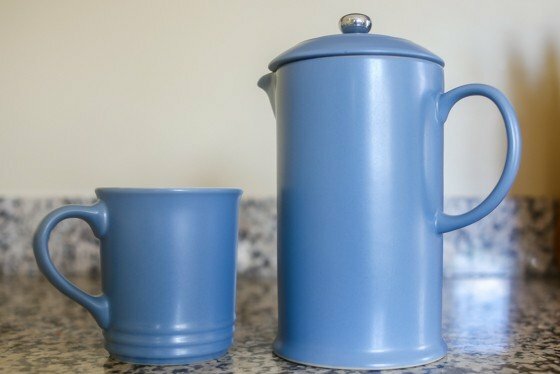 It is said that a French Press is the best-and freshest-way to brew a pot of coffee. They are taking this to a whole new level by giving you one made of high-quality enamel. You can brew the water to fill it up in your Classic Whistling Kettle. Crafted with only the sturdiest of materials, it is sure to last forever. Enjoy your delicious cup of joe (or tea) in one of their colorful and durable enamel Mugs. 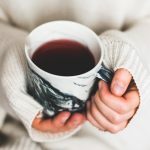 Coffee and tea lovers unite! Le Creuset will make the perfect gift for either one on your list, and their mugs round it out to make the ultimate gift. 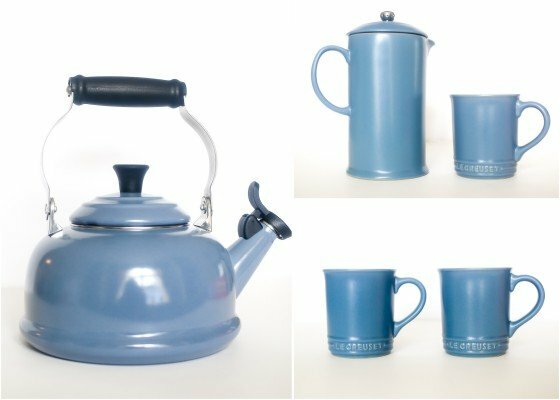 These are for those who not only love a warm cup of tea or a great coffee, but those who also want to brew, not only in style, but in unsurpassed quality! 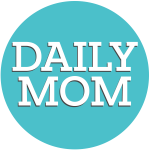 Babymoov reinvents the everyday life of parents by providing reliable, highly designed, and technologically advanced products, driven by parent’s input. Since 1998, Babymoov creates products to simplify and enhance the life of parents for them to spend more happy moments with their babies. For over 15 years, Babymoov has worked hard to be the brand that thinks outside the box while coming up with ideas that will make your life as a parent easier. Located in France, the design and development team works hard to create products that encompass the quality, design, and safety you expect. Traveling with your little one will be a breeze with the Babymoov Style Tote Diaper Bag. Not only is it stylish, it also keeps you prepared for any unexpected accidents while on the go. 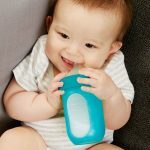 It comes complete with a changing pad, an insulated cooler bag for bottles, a pacifier holder, and a transparent bag for knick-knacks. 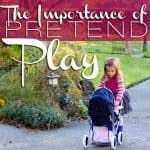 Padded shoulder straps make it easy to carry, while the stroller harness straps attach to any stroller for added convenience. As fetching as it is functional, this diaper bag is available in a variety of cool colors. 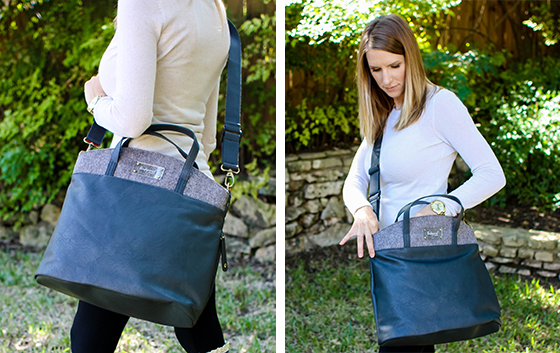 This bag is perfect for Mom’s on the go in the city, running around town, or going on a long road trip. We also love it for airplane travel as it’s completely inclusive for all the gear you need to store infant’s and toddler’s necessities. Raised in Colombia where beauty is a lifestyle, Tata Harper has always been up to date with the latest beauty products. It wasn’t until reality tapped on her shoulder one day however, that she started to pay more attention to what’s inside her cosmetic products. Realizing that the chemicals we expose ourselves to every day can be harmful, and in some cases, even lead to cancer, Tata set out to create her own line of 100% natural skincare products. Without compromising on scent, texture, or performance, and teaming up with the best industry experts in the world, Tata succeeded in creating an effective and luxurious anti-aging skincare line that’s entirely natural, free from chemicals, and proudly manufactured in the Harper Family organic farm in Vermont. 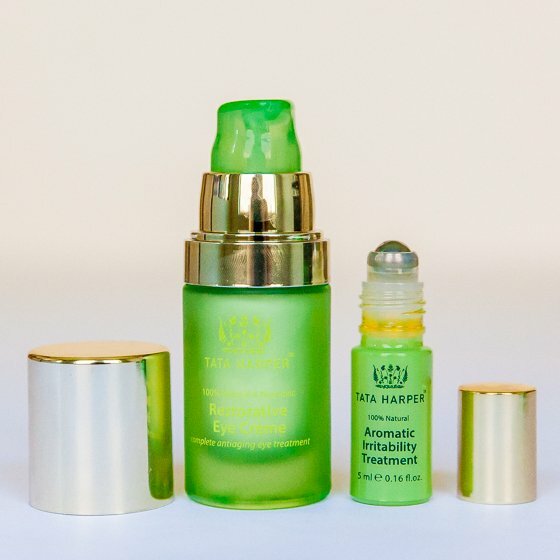 Tata Harpers Restorative Eye Crème is a complete eye treatment that combats the five most common aging signs in the eye area, utilizing the powerful concentrated formula found in all Tata Harper products. The silky, ultra-hydrating effect of this eye cream will protect and hydrate the gentle skin of your eyes, visually reduce under-eye bags and dark shadows, and significantly minimize wrinkles, signs of fatigue, and stress. With 26 high-performance ingredients (more than half of which are organic) you will feel the refreshing and lifting effect take over within the first two hours of application. Combined with the Tata Harper Aromatic Irritability Treatment, a calming sensation will take over your entire body. With a profoundly soothing blend of essential oils, its fresh and soothing fragrance will help you relax and find your center of balance again, especially when you feel your stress levels taking over during the day. Roman Chamomile will soothe and comfort, Patchouli will stabilize and calm your mind, and Bergamot’s floral and lemon fresh scent will actively relieve tension and negative emotions. As a natural de-stressant, the Aromatic Irritability Treatment roll-on can be used at any time and as often as you need during the day. 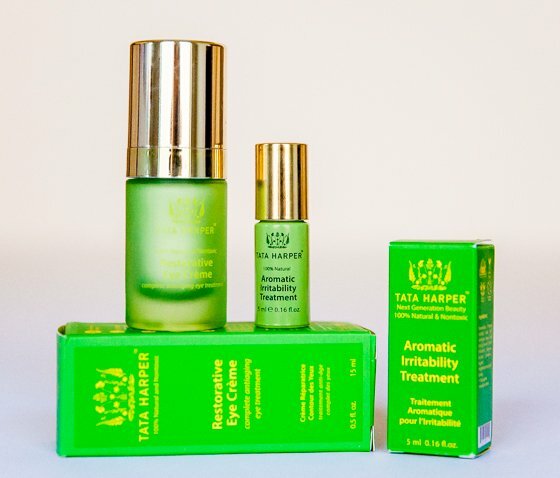 Tata Harpers Restorative Eye Crème and Aromatic Irritability Treatment are the perfect gift ideas for women who want to feel and look beautiful naturally, and are aware of what they put on their skin and refuse to compromise their health or safety, and for women who want the highest quality, performance and purest ingredients from their wellness and beauty products. Bonavita has put years of hard work into the art of coffee brewing and tea steeping. They offer products for your kitchen that help to ensure you achieve the perfect cup every time. The brewers, kettles and dippers that they offer to consumers are created to produce exceptional results every time you set out to brew. Bonavita wants to ensure that you can focus on the beauty of the coffee you are drinking! The coffee brewers at Bonavita’s are both tested and approved by the Specialty Coffee Association of America as part of its Certified Home Brewer program.This certification is only given to a handful of machines that meet the SCAA’s rigorous technical standards. 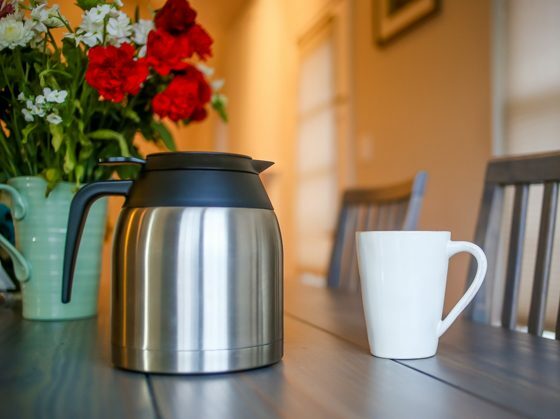 The 8-cup coffee brewer designed by Bonavita is an essential in the home of any coffee lover. This coffee brewer offers a one touch brew operation with an auto-off function, as well as a strong and precise 1500-watt heater which will help to maintain optimal brewing temperature. When brewing the perfect cup of coffee, the most critical part is reaching—and then maintaining—the perfect water temperature. By using water that is either too hot or too cold, you will produce an imbalanced flavor profile and taste. The powerful heater will reach the optimal temperature quickly and maintains that temperature all through the brewing cycle. 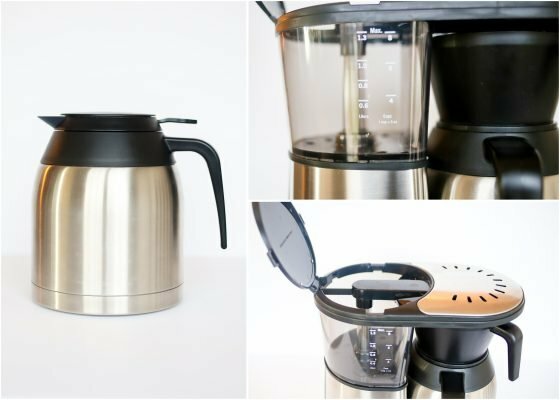 Faster brewing and delicious coffee is just one button away! 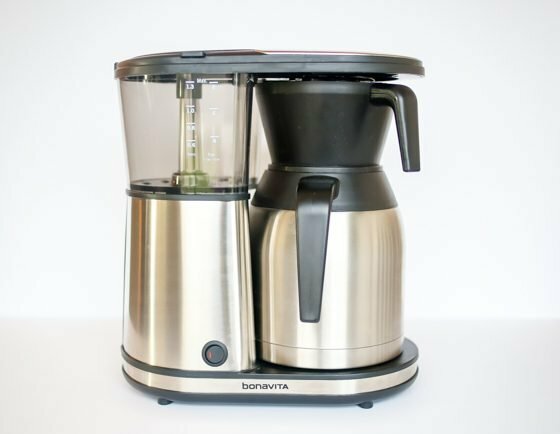 The Bonavita brewer also has an optional pre-infusion mode, which will wet freshly-ground coffee, allowing for degassing prior to brewing. It also uses a wide, showerhead design that evenly distributes water over the coffee grounds to ensure uniform extraction. Coupled with the flat bottomed filter, you can rest assured that you will have a coffee that is both delicious and the perfect strength. The Mom in your life who cannot start her day, or hardly open her eyes, without that first cup of coffee is the perfect candidate for the Bonavita 8-cup coffee brewer. She will start her day thinking of your lovely gift and you will be helping her get the jolt of energy many need to make it through the day. Alterna Haircare has been a luxury hair care pioneer since 1997. 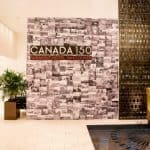 Widely known and respected in professional salons, the company stands by its commitment to deliver luxurious and uncompromising hair care products that meet the highest industry standards. Whether its innovation and expertise, or simply giving options for a specific hair care need, Alterna provides pure, proven and professional solutions -guaranteed. Every product is made with sustainable ingredients using eco-friendly packaging and is produced under fair trade terms. All Alterna products utilize proprietary technologies specifically developed and intensively tested to deliver high-performance and superior transformational results from day one. Alterna’s Bamboo collection consists of products that will keep your hair in perfect shape when you’re on the go. With the Bamboo Style Anti-Static Dry Conditioning Spray, your dry hair will regain its vitality and will regain its necessary moisture levels, a necessity during winter-time. Especially for humid environments, the Bamboo Smooth Anti-Humidity Hair Spray is your go-to styling product: light and ultra-dry, it will keep frizz and humidity away from your hair and prevent it from feeling sticky and stiff. 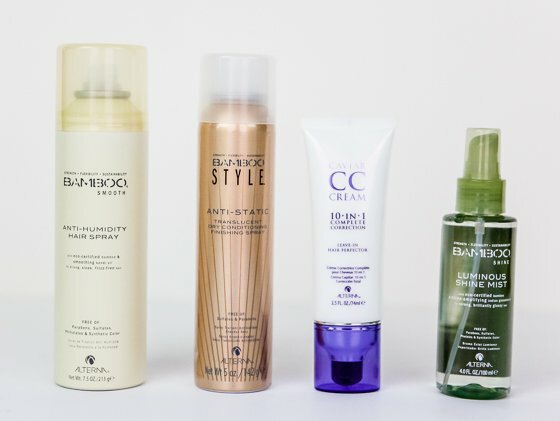 To complement your hair care regimen, the Alterna Bamboo Luminous Shine Mist is the ultimate finishing for any type of hair, giving it a mirror-like shine and polish with its superior color retentive technology. 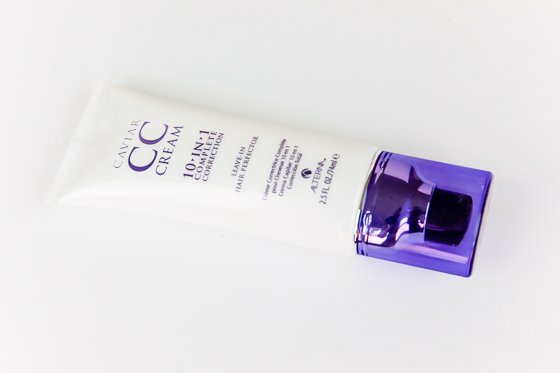 For optimal results without resorting to numerous products, try the Alterna CC Cream 10-in-1 Correction for perfectly polished hair with this complete leave-in hair treatment. Alterna’s Bamboo collection is the perfect gift idea for women who are looking for suitable hair products for any occasion and want to keep their hair healthy, shiny, and well-conditioned at all times, knowing their products use only the best ingredients. Alicia Renee Obsessions offers a variety of accessories ranging from bags and clutches to an assortment of jewelry. With beautiful necklaces and bracelets as well as vests and bags, their products will add the perfect accent to any outfit and delight any recipient on your shopping list. The traveler in your life will jet set in style with this Bradshaw Duffle Tote Bag, available in camel brown or beige, which can be monogrammed to beautifully suit her name and her personality. The versatile handle allows the bag to be carried on the arm, over the shoulder or across the body, for a comfortable carry no matter the trip. The Bradshaw Duffle Tote Bag is made of faux leather, so you can be assured that the product is animal friendly, while still looking like leather and being a beautiful accessory for her next trip. Brass feet ensure that the bag stays protected when set on the ground and the elegant brass hardware details make this bag as stunning as it is convenient. Roomy and comfortable, the Bradshaw Duffle Tote Bag has everything that your beloved traveler will look for in a tote, and the personalization adds a unique touch that she will love. 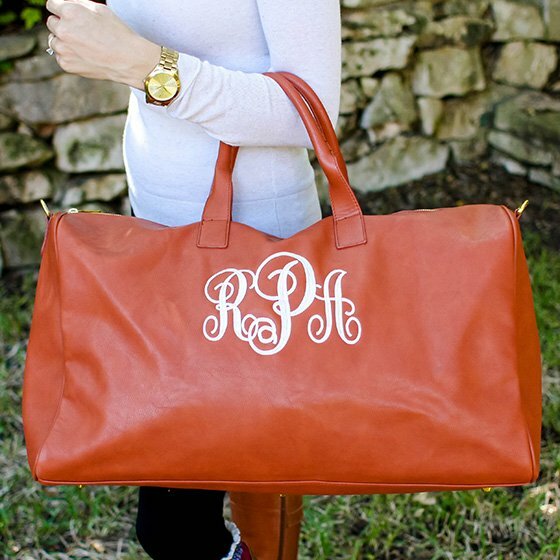 The Bradshaw Duffle Tote Bag is the perfect gift for the traveler in your life and the beautiful monogram detail makes it a gift as special as it is useful. And now you can enjoy the beautiful accessories from Alicia Renee Obsessions for a fraction of the price by using code DAILYMOM for $30 off orders over $150! After hours of searching for the perfect, unique and sentimental gift to commemorate a special date in her husband’s life, founder of Not Just Any Old Day… It’s YOUR Special Day, remembered a piece of calendar jewelry that her jeweler grandfather had made her grandmother to commemorate their wedding date years ago. She decided to take her own spin on the idea, and made her husband a sterling silver calendar keyring. She loved it so much, she made herself a calendar necklace with her birthday marked on it. Strangers and friends began to ask her where it came from and where they could get one of their own. That was the start of the Calendar Datesake Jewelry and Gift Collection as well as the beginning of her business, Not Just Any Old Day… It’s YOUR Special Day. Now, you can choose from a wide variety of custom Calendar Datesake Jewelry to commemorate any special day in your life – from weddings to births to sobriety, etc. Choose from necklaces, rings, bracelets, key rings and more to create beautiful keepsakes for you and your loved ones from Not Just Any Old Day… It’s YOUR Special Day. Give a truly unique keepsake this holiday season with the “Your Special Day” Mini Calendar Charm Expandable Bangle Bracelet. 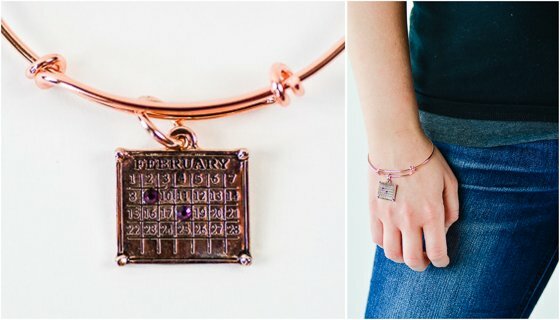 Made from recycled, lead-free pewter, you can choose from antique brass, silver or rose gold plating and a crystal representing any of the month shades to be placed over your special date on your calendar charm. 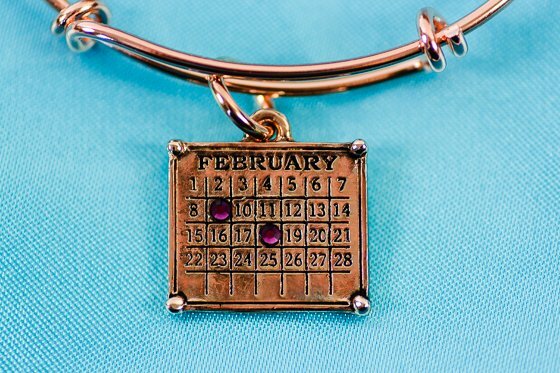 Your month of choice is beautifully detailed as a “calendar page” and attached to the adjustable bangle. You can even opt to have your Datesake charm engraved on the back to make it extra special and personal. “Your Special Day” Mini Calendar Charm Expandable Bangle Bracelets look great alone or stacked with other Datesake bracelets. You can make a tradition of getting your loved ones Datesake bracelets for every special occasion in their lives – like weddings, births, proposals, adoptions, sobriety dates, cancer-versaries and more! Not Just Any Old Day personalized Datesake bangles are the perfect gift for just about anyone on your list this year. Completely customizable and personalized, these bracelets will show your loved ones how much they mean to you. These personalized bracelets make cherished keepsakes for anyone who wants to commemorate a special date in their lives. 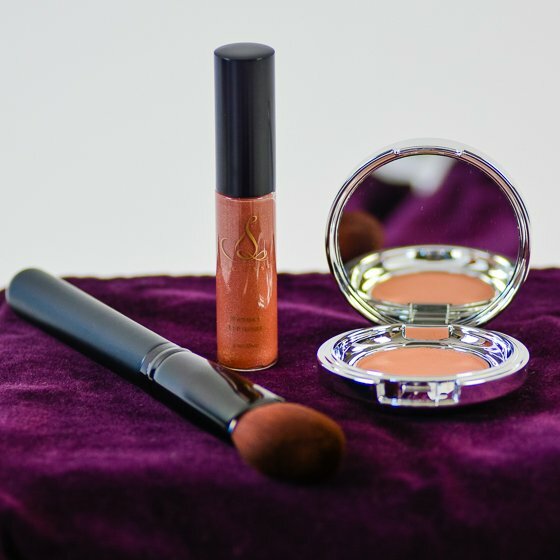 Jane Iredale, founder of Iredale Mineral Cosmetics, was inspired to develop a makeup that was good for the skin to help those struggling with the ill-effects of the many kinds of makeup they wore. Her experience while in the entertainment industry exposed her to the harsh realities of women whose careers depended solely on their clear complexions. Because of this, she was able to see how skin disorders and sensitives not only threatened careers but destroyed self-confidence. Jane Iredale has had great success in reaching women of all ages and nationalities and has helped them realize that enhancing the wearer’s natural beauty allows their personality to shine. Her belief is that true makeup artistry does not come from trying to make a face conform to the latest makeup fashion trends. 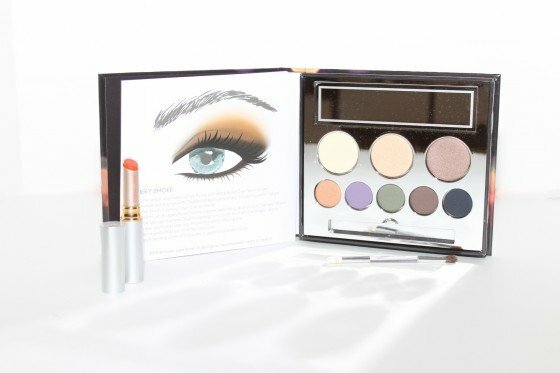 With the In the Blink of a Smoky Eye Smoky Eye Kit you’re able to create your ideal smoky eye with the provided eight blendable shades of their highly pigmented PurePressed® Eye Shadow, with its long-lasting and crease-resistant finish. It comes with a mirrored compact and dual-ended brush for your make-up application convenience. Also provided in this kit is five step-by-step looks in a convenient fold-out “how-to-guide.” These pigmented shades are simple to blend, sensitivity-tested, and long-lasting, for stay-put, stunning, crease-free color. With eight versatile shades, the possibilities for achieving the right look is endless! The Just Kissed® Lip and Cheek Stain is a consumer favorite because of its multipurpose lip and cheek stain which is now available in a classic red hue! It’s made of natural ingredients to enhance the wearer’s natural coloring. 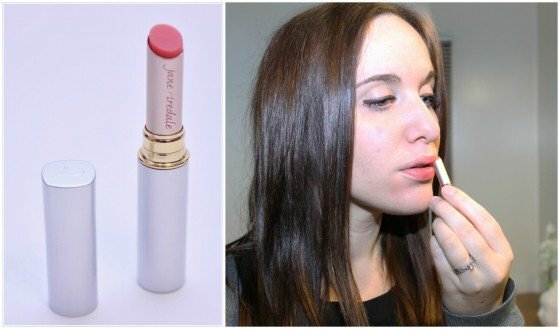 This lip and cheek stain is non-drying and long-lasting. It also adjusts to the wearer’s own chemistry, for a custom shade unlike any other. The olive butter, avocado butter and wild rose wax ingredients soothe and soften lips as well as moisturize. These unique items are the perfect gift for women wanting to take their make-up game to the next level. With the stylish travel box and convenience of 8 versatile shades and the multi-purpose lip and cheek stain, you’re able to create a custom and unique look. Winky Designs is a hip new brand that creates affordable fashion-statement-worthy pieces. Such pieces include wrap and slap watches, clutches, belts and jewelry. Winky Wu, CEO/Founder and Designer’s inspiration behind her products comes from everyday, happy, simple pleasures such as sweets, fresh fruits and cooling cocktails, which is evident in her entire collection. The ideal item for the bargain shopper and the fashionista, Winky Design’s is both unique and versatile to fit any style. Winky Design’s Macaron Jewelry Cases are perfect to keep your tiny treasures safe. Keep your rings or earrings safe while on the go, and they are small and cute enough to pack along in any handbag or nighttime clutch. 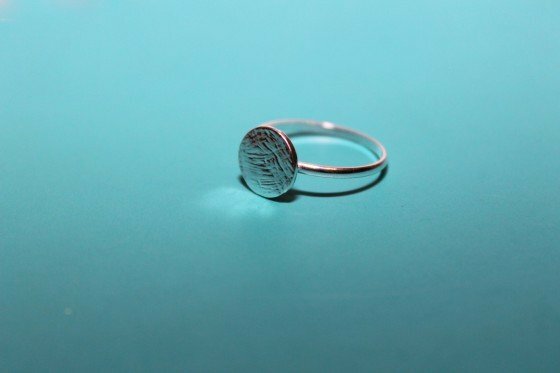 Embrace your everyday jewelry fashion by wearing Winky Design’s midi-ring, circle stackable rings or choose to layer them up. The ring can be dressed up or down, and is ideal for a day at the office, or night out with girlfriends. 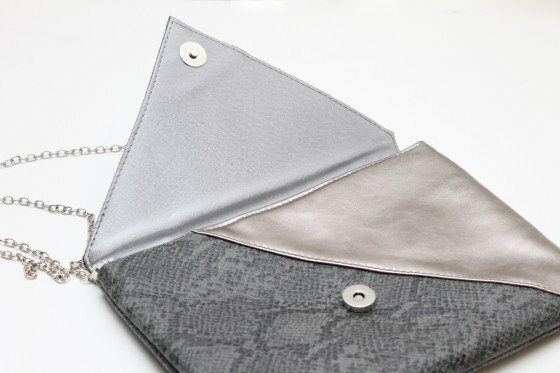 Captivate everyone’s attention with the Silver Snake Skin Clutch which has a glamorous shine to it. 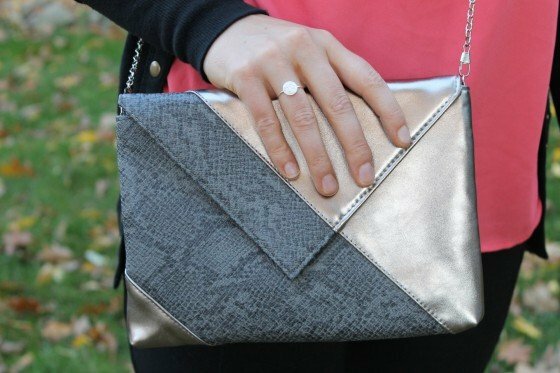 Fashionable and timeless, it’s the perfect clutch for that night out on the town in your favorite little black dress, or fancy dinner party with friends. Winky Designs offers the perfect items for your casual outing to a fancy night out and everything in between. With affordable pricing, their products are ideal for most any gifts and their broad range of products means that there is something for everyone. 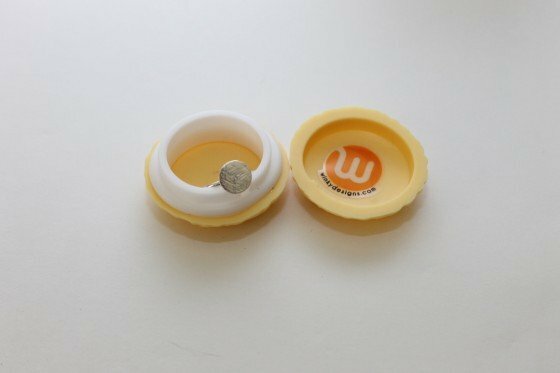 Whether you’re looking for a cute clutch to store your necessities, or a macaron-shaped case to keep your favorite fashion jewelry safe or if you’re looking for the perfect rings, Winky Designs has the item for you! Kiss is one of the world’s largest manufacturers and distributors of professional quality nail products, including nail care, nail jewelry, nail art, manicure and pedicure kits. They’ve also expanded their product line to include hair care products, cosmetics and eyelashes. Kiss became one of the first companies to bring high-quality, professional nail care and hair-care products directly to the consumers, developing easy-to-use, all-in-one kits, so you can achieve salon-like results within the comforts of your own home. The Instawave® Automatic Curler creates salon-quality curls easily and quickly. All you have to do is push the button and style your hair type effortlessly. The curls are long-lasting and tangle-free, making the time it takes to get ready each day less. 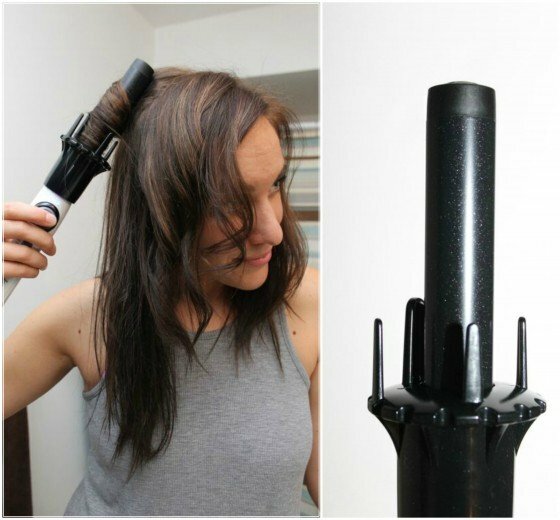 Get more time back in your day by throwing out your old curling irons, and upgrading to the new InstaWave Curler that does virtually all the work for you. 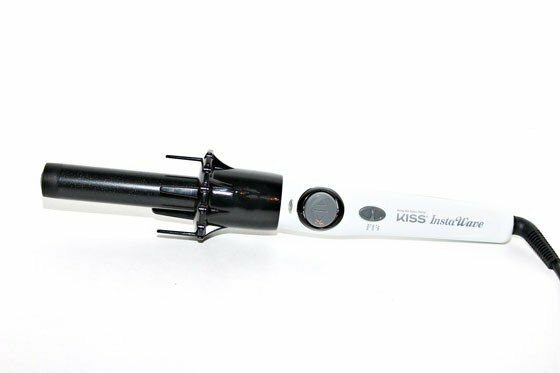 The Instawave® Automatic Curler is perfect for those who want to achieve salon-quality curls in a fraction of the time, in the comfort of their own home. The added safety features and ease of use makes this the ideal item for anyone’s hair styling needs. Two fun companies have put together two of their coolest products to bring you The Wandervino Collection. We love that Vapur and Govino have teamed up because they have a similar mission: drinking, whether water or wine, on the go! Vapur was founded in California with the noble mission of offering incomparably portable hydration and making the disposable bottle obsolete. With Vapur, staying hydrated on the go is now easy with less impact on the environment thanks to their anti-bottle, which is reusable and 87% lighter than rigid bottles. But Vapur didn’t stop with just a solution for hydration on the go, now they’ve given us wine on the go as well. You can live your life without being weighed down with bulky plastic or heavy glasses when you are out and about. Govino started out as a company catering to wine salespeople who needed an option for serving wine to customers when stem wear wasn’t readily accessible or practical. They sell the first and only unbreakable wine glass that you can use, reuse and recycle. Govino expanded their offerings and you can now purchase wine glasses, beer glasses, flutes and decanters that can all be safely used on the go in places where glass isn’t a wise choice. 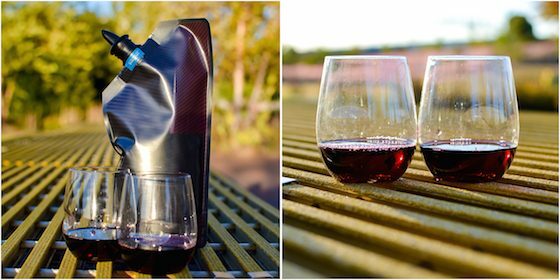 The Wandervino Collection from Vapur and Govino is a portable wine kit that includes a Vapur 750ml Flexible Wine Carrier and 2 Govino 12oz Go Anywhere Wine Glasses. 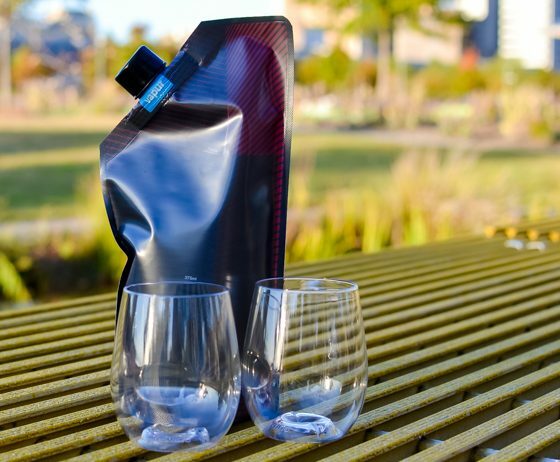 The Vapur Flexible Wine Carrier holds one full bottle of wine and gives you the option of wine, anywhere and anytime. The Govino wine glasses are also designed to be used anywhere but you can feel good about pouring a nice wine in them because they really look like real crystal. No one wants to drink a fine wine from a dixie cup, and you don’t have to with Govino Go Anywhere Glasses. Any wine drinker in your life will flip over The Wandervino Collection. Not only is it perfect for an outing like a picnic or day by the pool, beach or lake, you can use the glasses at home anytime. 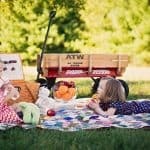 Unbreakable wine glasses are perfect for mamas of small kids who might knock over your end of the day beverage. There will be no crying over spilled wine and broken glass if you are drinking from an unbreakable wine glass! We love this product and think you will as well so share your wine adventures on social media with #vapurgovino. 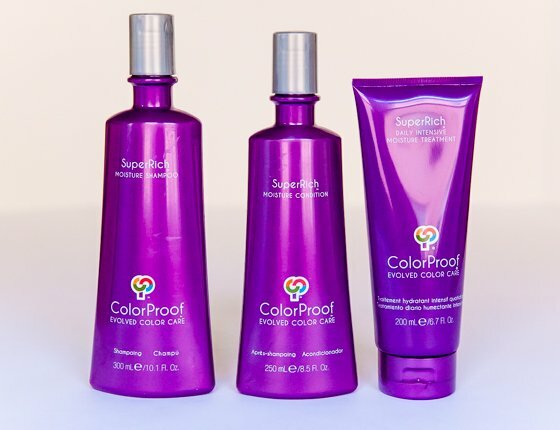 ColorProof Evolved Color Care was founded by beauty industry icon and celebrity hair stylist Jim Markham in 2011. ColorProof marks his fifth and finest entry to the salon market in an attempt to compensate for the slow advancement of color care technology at the time. The result of his expertise in product development and experience with creating innovative, award-winning hair care products is what stands behind the ColorProof Evolved Color Care brand. As a complete hair care line of professional luxury products exclusively designed for color-treated hair, all ColorProof Evolved Color Care products combine next-generation formulas and unsurpassed ingredient technology to bring you a color protection of superior quality and performance. The SuperRich Daily Intensive Moisture Treatment is part of the Moisture System product range, which is a highly moisturizing daily treatment product for your colored hair. With daily life damaging your hair and making it dehydrated, regular conditioning alone is simply not enough. With the luxurious SuperRich Daily Intensive Moisture treatment, you let your hair get the moisture replenishment it yearns for with an instant moisture boost that softens, strengthens and revitalizesyour hair. For even greater moisture replenishment, combine it with the SuperRich Moisture Shampoo and SuperRich Moisture Condition from the ColorProof Evolved Color Care Moisture Line. 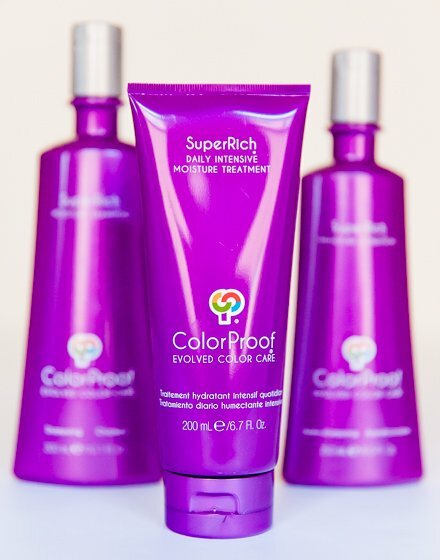 The SuperRich Daily Intensive Moisture Treatment by ColorProof Evolved Color Care is an ideal gift for women looking for an effective moisturizing treatment for their hair, specifically one that combines ultimate color and heat protection, and delivers an outstanding moisture replenishment for everyday use. 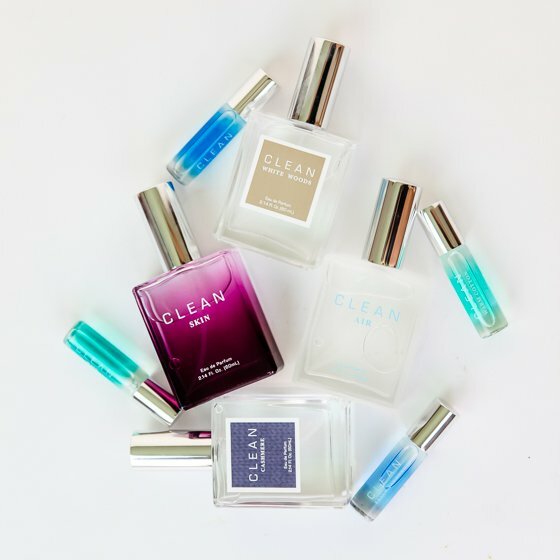 CLEAN Perfume was established back in 2003 when the market was over flooded with complex and overwhelming designer fragrances that wore you instead of the other way around. 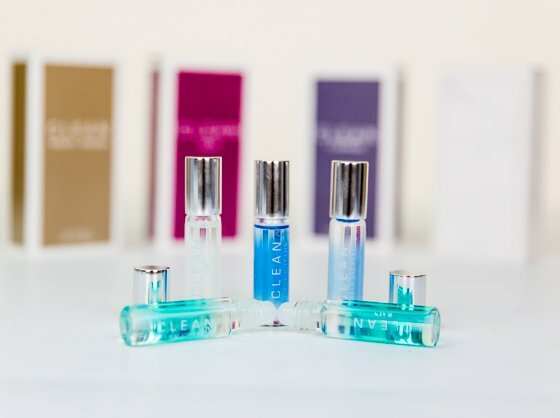 That’s why CLEAN committed to providing you with an alternative solution for everyday fragrances that are both refreshing to the senses and extremely comfortable to wear anytime, anywhere and by anyone. Purity and simplicity lie at the center of all CLEAN fragrances created for men or women, and also offer options for the body or for your home. All product packaging is simple and eco-friendly, made from recyclable materials consciously chosen to complement CLEAN’s core values: being simple, feeling nostalgic, and being conscious. When classic and contemporary meet pure and light, you know you’ve entered the realms of CLEAN. SKIN, like all CLEAN fragrances, is more than just a beautiful smell; it’s a journey for your senses and a chance to feel connected, happy and authentic. SKIN is a fragrance that encapsulates the delicate scent of bare skin. Light, pure and refreshing, the hints of dewy petals wrapped around gentle notes of creamy vanilla and warm musk will evoke the scent of touchable skin that is gentle, fresh and enticing. Finding it hard to choose? The CLEAN Rollerball Collection Gift Set may be what you’re looking for. This is a limited edition gift set that includes the CLEAN fragrances Air, Warm Cotton, Cool Cotton, Skin and Rain. Perfect for unique women that want the full CLEAN experience. 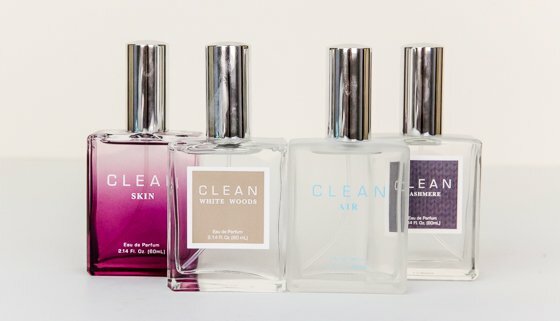 SKIN by CLEAN is ideal for women who are looking for a perfume that is simple, unique, pure, and delicate. A scent that is reminiscent of touchable skin and one that is so fresh, enticing and pure that you won’t go anywhere without it.